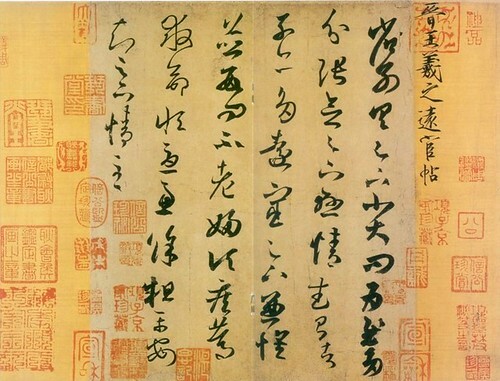 Wang Xizhi (王羲之, 303–361) was a Chinese calligrapher, traditionally referred to as the Sage of Calligraphy (書聖). Born in Linyi (臨沂), Shandong (山東) Province, he spent most of his life in the present-day Shaoxing (紹興), Zhejiang (浙江). 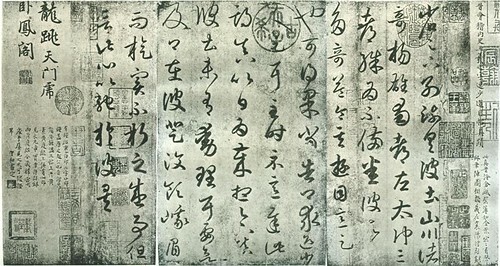 Wang Xizhi learned the art of calligraphy from Wei Shuo, commonly addressed as Lady Wei (衛夫人). 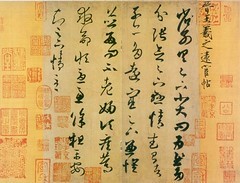 He excelled in every script but particularly in the semi-cursive script (行書). 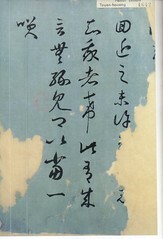 It is said that even in his lifetime a few of Wang’s characters or his signature were priceless. Unfortunately, none of his original works remains today. 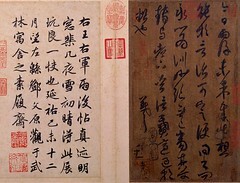 Down through the ages, however, aspiring students of that most basic yet highest art in China, calligraphy, have copied and preserved traces of his style. 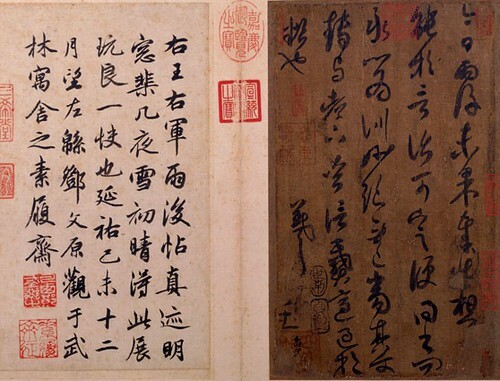 Wang's most famous work is the Preface to the Poems Composed at the Orchid Pavilion (蘭亭集序), the preface of a collection of poems written by a number of poets when gathering at Lanting (蘭亭, Orchid Pavilion) near the town of Shaoxing for the Spring Purification Festival. The original is lost, but there are a number of fine tracing copies and rubbings. Wang Xizhi is particularly remembered for one of his hobbies – rearing geese. Legend has it that he learned the key of how to turn his wrist while writing by observing how the geese move their necks. It is said that in Shaoxing there was a Daoist monk who had raised a flock of more than ten fine geese. One morning Wang Xizhi decided to take a small boat and go there. He was delighted with the geese and wanted to buy them, but the monk refused to sell. Wang tried in vain to persuade him. 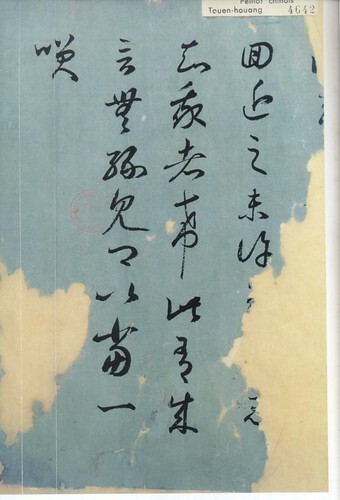 Finally, the monk told Wang that he loved Daoist philosophy and had always wanted a transcription of Laozi's Daodejing (道德經) with its commentary by Heshanggong. He had already prepared the silk, but no one was qualified to write it. He asked if Wang would condescend to transcribe two chapters each from the Dao and De sections, for which he would give Wang the whole flock. Wang stayed for half a day to write out the chapters, then he caged the geese and returned home.